Parents’ Day is celebrated here every year on May 8th, a few days after Children’s Day (May 5th). It is Korea’s answer to the west’s separate celebrations of Mother’s and Father’s Day. It’s not a national holiday but rather a special one. On this day, children offer carnations (as in the flower) to their parents and spend time with them. We celebrated this day by going out with my parents-in-law. We went to Andong City, which is about an hour’s drive from Jecheon. Our first stop was Hahoemaeul, a unique Korean folk village. Why unique? Unlike other folk villages, real people live here. It’s a really old village with houses dating back to 500 years. England’s Queen Elizabeth II visited this place during her Korean visit. 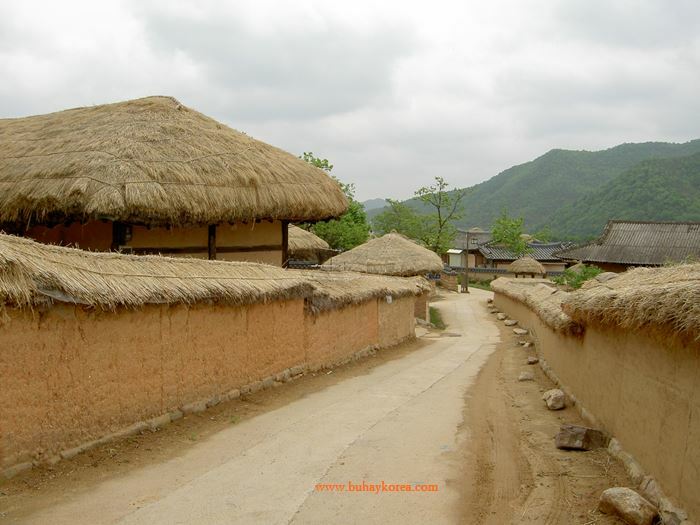 Hahoemaeul means “a village in the bend of the river”. 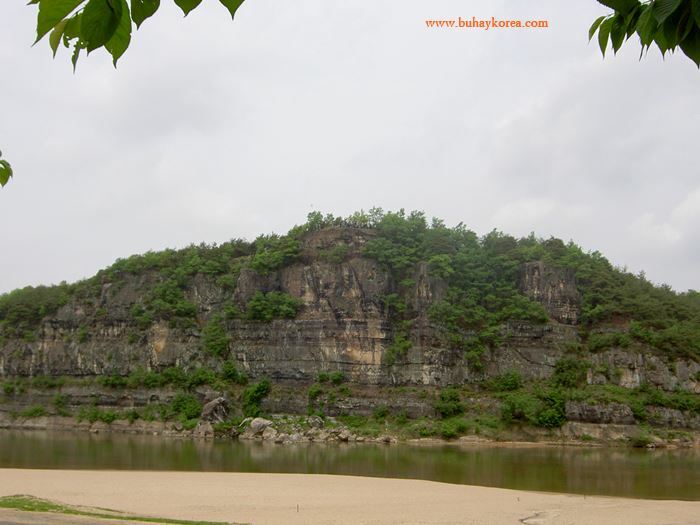 The Nakdong-gang (river) flows around the village in an S-shape and has a sandy bank. 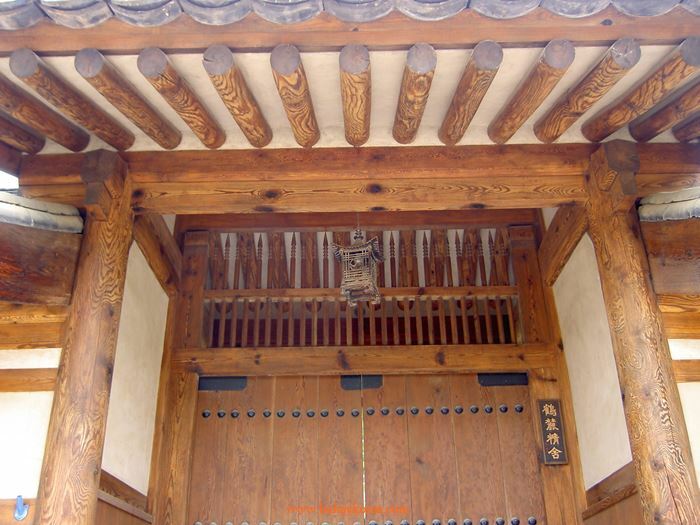 The village is famous for being the hometown of Ryu Song-ryong, the prime minister during the Japanese invasion of 1592, who was also a close friend of Korea’s hero General Lee Sun Shin. It is also the home of many traditional festivals like the Andong Mask Festival. 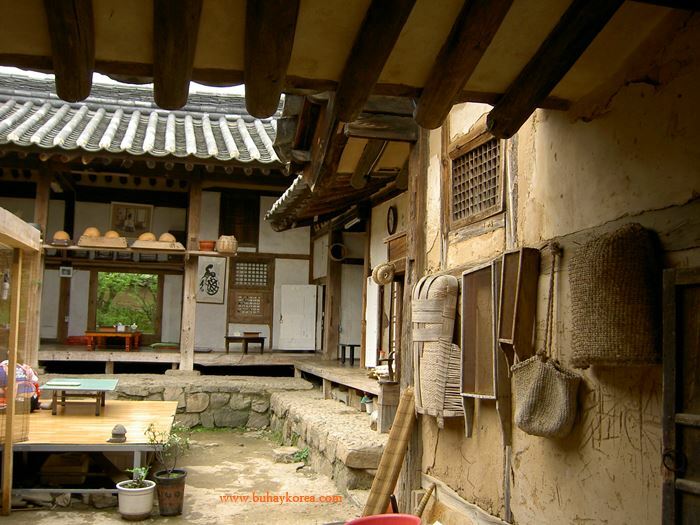 Inside the village, you’ll find some souvenir shops, restaurants and “minbak” or lodging houses where you can have a sleepover. The houses here are really old but expect to see cars parked in front of some of the houses as well as small satellite receivers. Real people live in those houses. 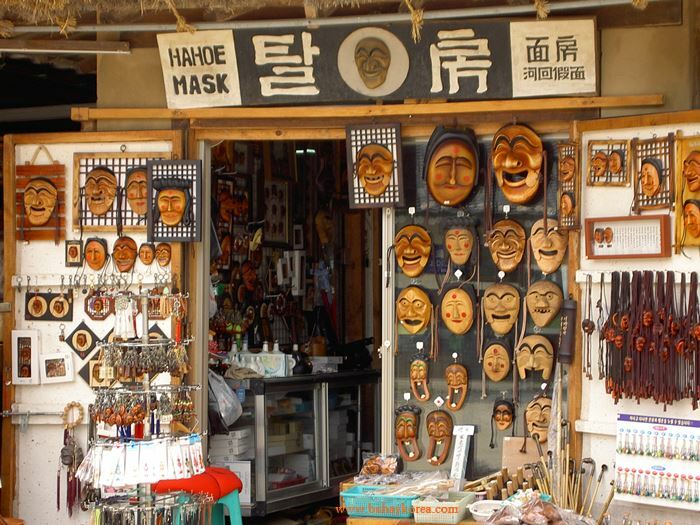 Andong’s Hahoemaeul is worth visiting especially in October when they hold the mask festival. hi, we actually live in Andong city! so do you live in seoul or in jechon? I’ve read your column andI’ve learn a lot rom it. I’ll here in Seoul, may I ask what are most jobs of the filipinos here aside from teaching english ( illegally)? Would you know if there’s a chance that I can work in a software or computer company here? I would also like to learn simple korean language, where I can learn those? Your help will highly appreciated.